Nationhood is the moral solution, and not the moral problem. The Knesset’s recent passage of the constitutional Nationality Law is an important accomplishment for the Jewish people in the Land and State of Israel. Critics on the right claim that the law is insignificant, or even possibly dangerous, because the present ideological and personnel makeup of the Supreme Court will either ignore, or abuse, the law. They may be right. However these critics ignore the fact that principled, declaratory statements, particularly when democratically approved as constitutional law, can have tremendous, positive educational impact. And this I believe is the significance of the Nationality Law. In the context of our historical, ideological struggle with the radical, politically correct liberalism of the post modern Western world, the Nationality Law constitutes a significant historical and educational accomplishment. The Jewish people are proudly proclaiming to the Western world that nationhood (nationalism) is a critical element of our social morality. The Nationality Law teaches us that a healthy, balanced nationhood is the moral solution, and not the moral problem, for coping with the social ills of ailing, post modern Western society. The Nationality Law’s educational benefit in found in formal and informal teaching settings, in the educational frameworks of the classroom, academia, youth groups and the family dinner table. The Nationality Law teaches that only the Jewish people have the right to self determination in the modern State of Israel. Other minorities have equal, individual civil rights, but only the Jewish People have national rights of self determination. The Nationality Law determines that the phrase means that all individual citizens will have equal, democratic civil rights, but only Jewish nationhood will have the right of national self development and determination. 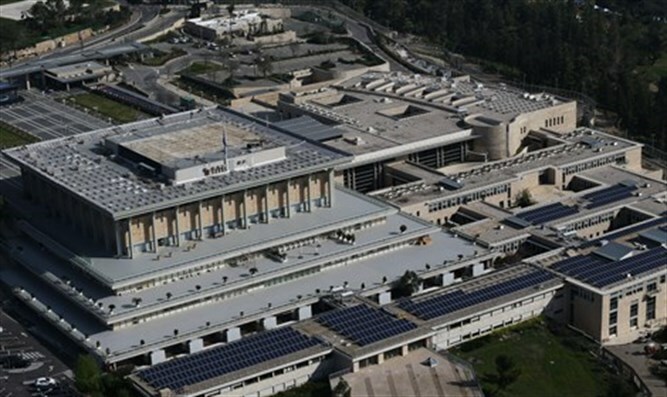 Thus the Knesset has thus democratically and constitutionally resolved the educational question of the meaning of the Israeli Declaration of Independence phrase, “Israel will have both a Jewish and democratic character”, a question that has been the subject of vicious internal debate for the last twenty years. The Nationality Law determines that the phrase means that all individual citizens will have equal, democratic civil rights, but only Jewish nationhood will have the right of national self development and determination. The law similarly teaches that constitutionally Israel is a Jewish State, and not a state whose national character is a sum total of the various characters of all its citizens, Jews and non Jews. This means that liberal civic teachers can no longer present the Jewish-Palestinian conflict as a relativistic debate between two national narratives. The Nationality Law now clearly, legally establishes that the ‘Palestinian narrative’ is a subjective, national narrative, but the Jewish ‘narrative’ has just become enshrined as constitutional law. The Nationality Law thus prescribes what should be the educational messages that must be taught in civic and citizenship courses in textbooks, the classroom, in academia, in youth groups and in the family and community. Of course discussion and disagreement must be encouraged, but now the teacher and group leader knows what is the principled ‘answer’ that he has the educational responsibility to convey. I am sure that the debate on the questions of Israel’ Jewish and democratic character will continue. However now the nationalistic answer to this question has gained increased clarity and legitimacy, and the corresponding liberal answer has lost legitimacy and is now more on the defensive. However, probably the greatest educational contribution of the nationality Law is in context of the bitter, ongoing worldwide ideological debate in academia and the media between conservative (Torah, in the case of Judaism) social morality and radical liberal social morality. The Nationality Law should now encourage conservative and religious Jewish teachers and publicists to be less defensive, and more assertive, in their argument that nationhood is an intrinsic, moral and ethical component of a healthy, modern society. We must consistently and proudly teach that a healthy, modern society cannot exist without patriotic nationhood, organized religion, and the traditional two parent family. Yes , Hitler and Facism gave ‘nationhood’ a bad name, and thus put conservative social philosophy on the defensive for more than half a century in academia and in the media. Radical, ‘utopian’ liberalism defines a healthy, post modern society as one in which there is no absolute, objective commanding social truths. Society must thus give maximum liberation to the individual so that he can develop his self identity and self fulfillment according only to the subjective ‘truth’ of his personal conscience. Given this analysis, social morality demands that the oppressing forces (specified above) morally deserves more limited social rights and privileges because they will only use their privileges to continue oppressing their opposites. The oppressed social groups (specified above) morally deserve expanded social rights and privileges so that they can more successfully liberate themselves, and thus obtain strengthened self identity and social fulfillment. Thus radical liberalism sees the nationalism of a majority group as immoral - and sometime evil - because it will be used to deny effective self determination to minority ethnic groups. For example, radical liberalism grants the Jewish nation only constricted, rights of self defense against Palestinian Arab terrorism because the Palestinian Arab cause inherently possesses greater social morality since it is defined as an oppressed, non white ethnic group. Similarly, it is socially immoral for the state to prefer two parent, two gender families because the traditional family is an oppressing class force denying equal rights of self fulfillment to oppressed homosexuals. In contrast, conservative and orthodox religious social philosophers understand that the ills of post modern society are caused not by the conflict between oppressed and oppressing social groups, but rather by the nihilistic atomization of society. They argue that post modern radical liberalism is rapidly creating a society of lonely, dispirited, materialistic, spiritually empty individuals. Conservative-Torah social philosophy argues that it is an illusion that an individual can obtain true self fulfillment by primarily focusing on satisfying his own self centered needs. An individual, by himself, cannot fulfill himself. True, self development and self identity comes from attaching and committing oneself to more transcendent, less transient social frameworks than one’s individual existence. This means developing yourself identify not as an individual self help project, but by involving oneself in a committed family life, in an organic multi generational community, seeing oneself as part of a historic nationhood, and being involved in organized religious life. Committed Involvement in these social frameworks is the historically, time tested way to achieve a more meaningful form of self fulfillment, a personal existence that is more spiritually transcendent, and less transient, atomized and materialistic . The traditional family, religion, the organic community and nationhood are conservative social policy’s answer to the social loneliness, alienation and spiritual emptiness which are at the core of post-modern society’s ills. Tisha B'Av 2018 starkly exemplified the deep differences between liberal and conservative-religious understandings of social policy and morality in Israel. For example, Liberals demonstrated in the streets and at Kikar Rabin for the right of surrogate parenting for homosexual men, arguing the moral right for individual self fulfillment outside traditional social structures. In contrast, almost two million Jews fasted and prayed in order actualize their eternal bond with the historical tragedies of their Jewish nationhood. Moral self fulfillment, conservative-religious social policy argues, is primarily found in committed attachment to transcendent, spiritual frameworks outside the individual self. The Nationality Law has critical educational value in the post modern struggle between radical liberal and conservative-religious definitions of social morality . The Nationality Law should be understood as a principled statement rejecting the ethical judgment of radical liberalism, and confirming the belief that nationhood is a necessary moral element of a healthy post modern society. The teacher in the academic classroom must now teach that the Israeli constitution establishes that the State of Israel is Jewish in its national rights, and universal and democratic in its individual, civil rights. The social character of Israeli society will not be simply the product of sum total of all its minorities. By forcibly and principally stating that patriotic nationhood/nationalism is the ‘solution and not the problem’ in addressing the social ills of post modern society, the Nationality Law gives great encouragement to conservative-religious (Torah) social policy makers all over the world in their effort to regain the offensive in their ideological struggle with radical, ‘utopian’ liberalism in academia and in the media.